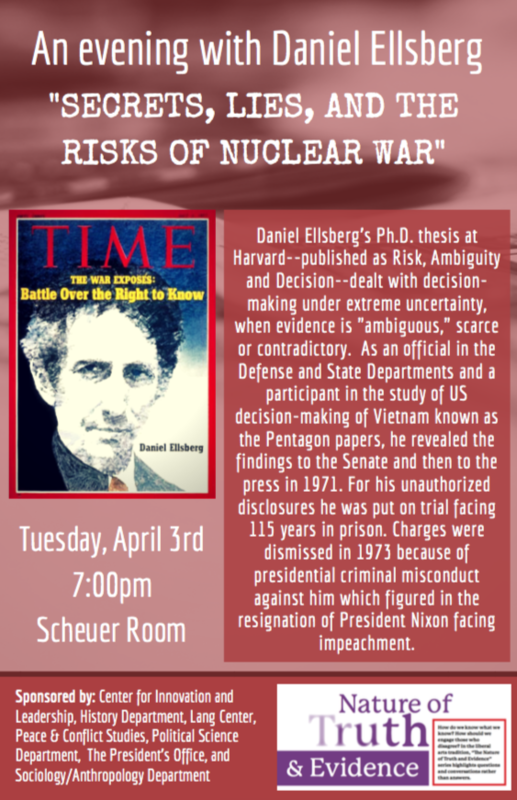 Daniel Ellsberg‘s Ph.D. thesis at Harvard- published as Risk, Ambiguity and Decision- dealt with decision-making under extreme uncertainty, when evidence is “ambiguous,” scarce or contradictory. 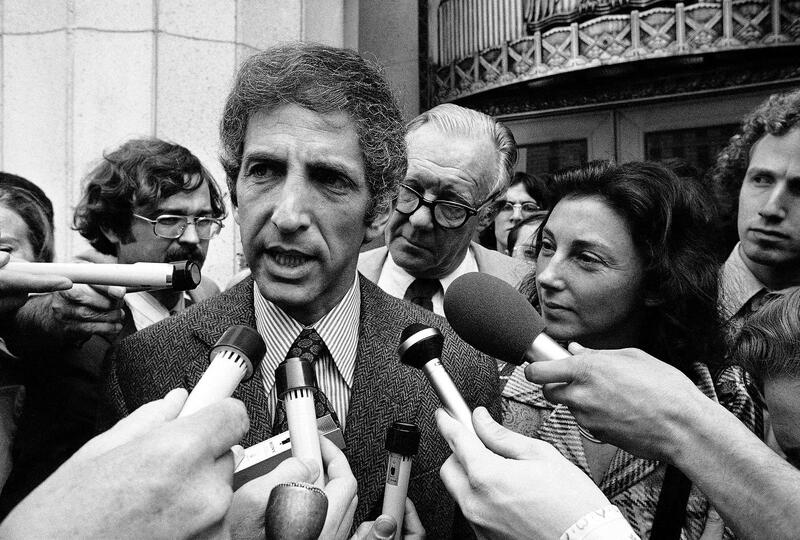 As an official in the Defense and State Departments and a participant in the study of US decision-making of Vietnam known as the Pentagon papers, he revealed the findings to the Senate and then to the press in 1971. For his unauthorized disclosures he was put on trial facing 115 years in prison. Charges were dismissed in 1973 because of presidential criminal misconduct against him which figured in the resignation of President Nixon facing impeachment. 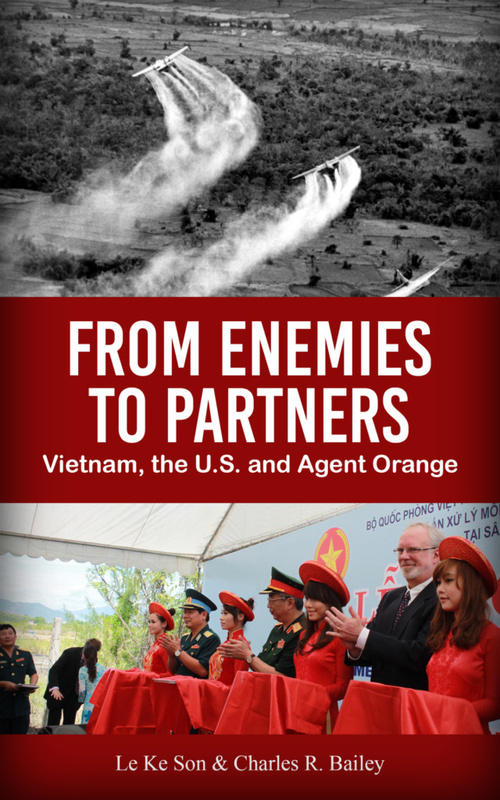 On Thursday, November 2, Peace and Conflict Studies will welcome the authors of From Enemies to Partners- Vietnam, the U.S. and Agent Orange. The lecture will take place at 4:15 PM in the Scheuer Room of Kohlberg Hall. 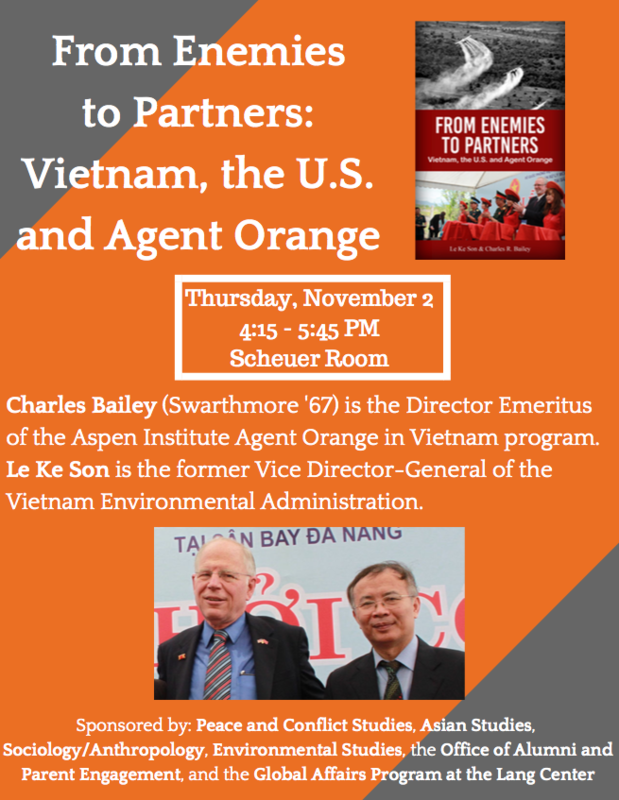 Dr. Charles Bailey (Swarthmore ’67) is Director Emeritus of the the Aspen Institute Agent Orange in Vietnam program. Dr. Bailey was the Ford Foundation representative in Vietnam from 1997-2007. Dr. 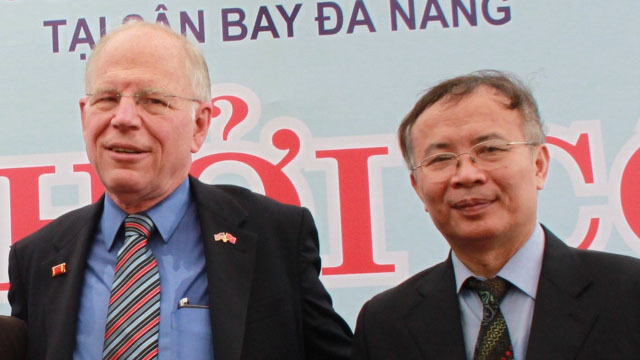 Le Ke Son is the former Vice Director-General of the Vietnam Environmental Administration. He is also a medical doctor with a PhD in toxicology and served as a medic in the Peoples Army for 25 years. The authors will cover a range of topics, most notably the great power of technology and military hubris to alter the environment and impact humans even decades later. This event is cosponsored by Asian Studies, Sociology and Anthropology, the Office of Alumni and Parent Engagement, Environmental Studies, and the Global Affairs Program at the Lang Center for Civic and Social Responsibility. Charlotte Lacey, the only Delaware County native and the youngest member of the the peace group, The East Coast Conspiracy to Save Lives, passed away on January 5th in Vancouver, Canada. Charlotte was 18 years old when on one night in 1970 she along with 10 nuns, priests and young people simultaneously burglarized three of the four Philadelphia draft boards destroying the files of those young men about to be involuntarily sent to Vietnam to kill and be killed. The group also burglarized the lobbying offices of GE in Washington. The GE documents taken exposed the collusion between Congress and GE, the second largest war contractor at the time. Charlotte, at that young age, had not only the strong moral compass to see that the Vietnam war was wrong but she had the courage to put her liberty and maybe her life on the line in her effort to stop that war. 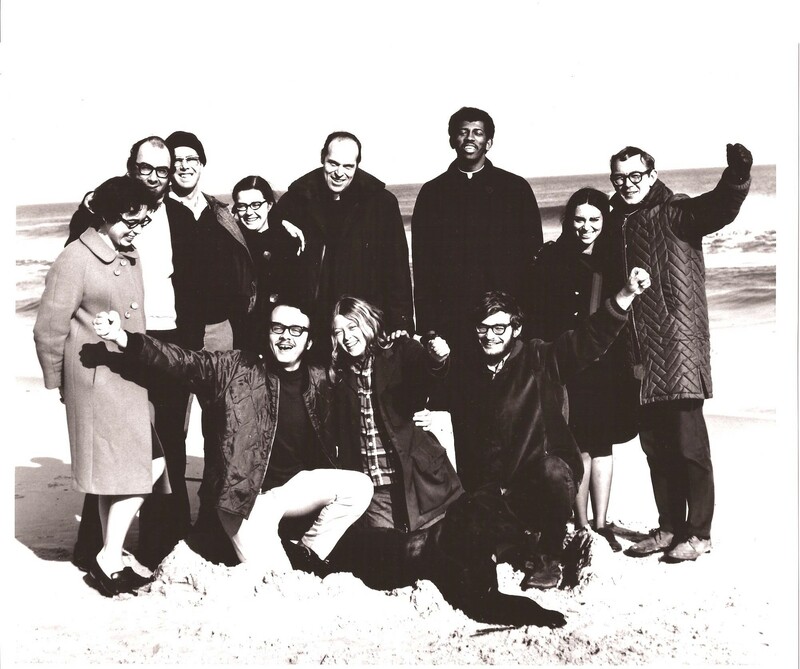 The 11 members of the Conspiracy to Save Lives published their names with a photo taking responsibility for this non-violent resistance to the war, the draft and the military-industrial complex. Charlotte was a very special loving person who lived the rest of her life in Canada. Delaware County and all peace loving Americans should be very proud to have had her as their courageous daughter.